Silverlake currently is breaking out of the consolidation zone. Technically a good sign of moving higher as the support at 1.26 is holding strongly during the last month market correction. 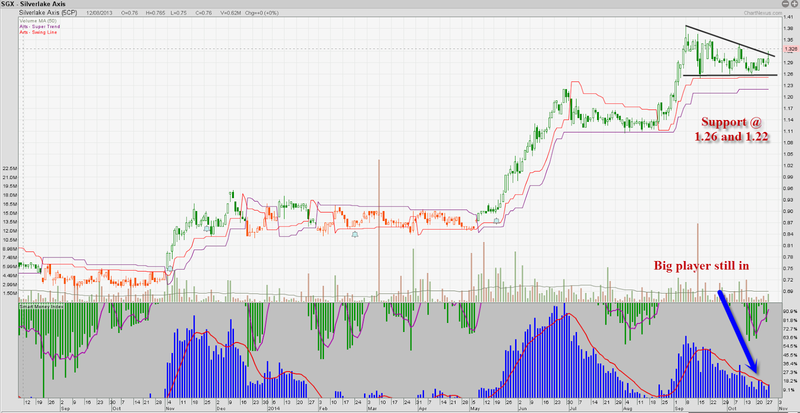 Our previous post on Silverlake, posted strong stock after correction, Sunshine after the rain. In 2012, when Silverlake is just 0.46 we talk about this stock that is stronger than the market, dont really drop when the whole market goes into a correction, Until now, Silverlake is still a strong uptrend stock and it is $1.33 already. Check out more stocks in our upcoming seminar!